The world is white. I love how snow makes me see the world differently, ugly things suddenly become places of great beauty. Our city is suddenly mysterious, other, seen with new eyes. I stop in wonder, I gaze at things I thought I once knew and now see afresh. There are obvious things about God to look to in the snow. His majesty, his might, his washing of us as clean as the scene in front of my eyes as I woke up this morning. Psalm 147:16 He spreads the snow like wool and scatters the frost like ashes. Isaiah 1:18 “Come now, let us settle the matter,” says the LORD. “Though your sins are like scarlet, they shall be as white as snow; though they are red as crimson, they shall be like wool. Daniel 7:9“As I looked, “thrones were set in place, and the Ancient of Days took his seat. His clothing was as white as snow; the hair of his head was white like wool. His throne was flaming with fire, and its wheels were all ablaze. I think there is more though, I want to see Jesus anew this Advent, I want to see him afresh, I want to come to the Stable and worship because I have see him again and am surprised again by what I see. 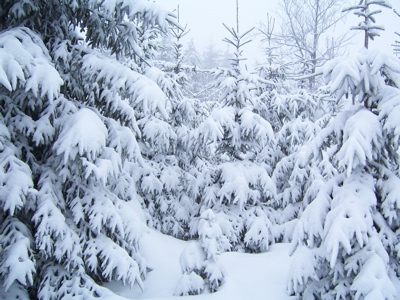 This entry was posted in Life on the journey and tagged snow. Bookmark the permalink.